How Many Hair Bundles For a Sew In? Some women customers often complain why the purcahsed hair can't be that full and gorgeous like the hair model after installing. So they begin to doubt the hair quality and blame it to merchant misleading information. Today I don't want to stay at hair quality problem discussion. I just want to tell you how many hair bundles do you need to make a head of full and gorgeous hair! 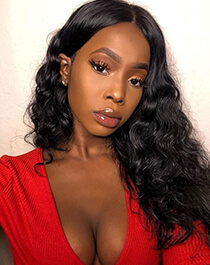 How many hair bundles do you need varies based on what type of sew-in, the hairstyles, lace closure and lace frontal matching, the hair length and the size of your head. A general rule about this: the shorter the hair, the more volume it gets! A 10" hair will have more volume than a 18" hair. This is because different lengths have the same weight (each hair bundle weight 95~100g on dsoarhair.com). Under the same weight, 10" hair will seem wide and long at the back. 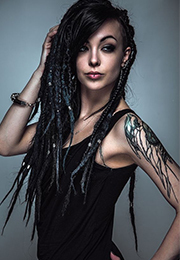 But18" hair will seem thin around the two sides of the head. Geneally speaking, 8"-10" hair, it usually needs 2-3 bundles. With 3 bundles anywhere from 12″ – 20″ your weave will be full, flowy, and glamorous. 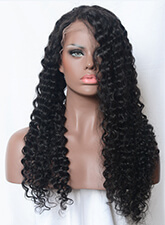 Over 22" you may have to consider 4 bundles to keep your hair full and thick. In addition, when you install a lcae frontal or a lace closure, you need reduce the bundles amount appropriately. For a lace frontal (usually refers to Width 13", Height 14" lace), it can cover your whole headline from ear to ear. It covers a big part of the head front. Thus you can use 2-3 bundles depending on the hairstyle and length. For a lace closure (usually refers to Width 4", Height 14" lace), it only cover a small part of the head front. We will always advise you to purchase three bundles with your closure. At last, the hairstyle also decides the hair bundles quantity you need. 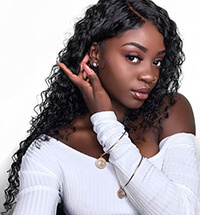 For example, when you just want to partically sew in with your own natural hair, you can take a maximum of two bundles for standard lengths and three bundles if using longer lengths over 24″. In summer, you can choose 2-3 bundles for the fresh, cool short hair. In winter, you can choose 3-5 bundles for the long full hair. Well, in a summary, your desired hairstyle will decide the hair bundles quantity. If you want a full and thick look, you will need 3 to 5 bundles. If you want a thin, more natural and tamed hairstyle, you will most likely only need 2 to 3 bundles.